AWESOMEZ.NET: There are some who call me... 'Timmy'...? Twelve years have passed since the previous chapter in the «Diablo» saga, and for most of that time the franchise has had a dedicated player base. Will «Diablo III» have as long a lifespan? In its current form, not very likely. In order to explain why, I must introduce you to the three player arch-types of «Magic: The Gathering»: Timmy, Johnny and Spike. For years, Wizards of the Coast R&D have done psycho-graphic profiling on players of their collectible card games. Johnny (The Creative Gamer): For Johnny playing is a form of self-expression, and winning is not as important as being able to play on his own terms. Thinking about ways to play the game is often more fun for Johnny than actually playing it. 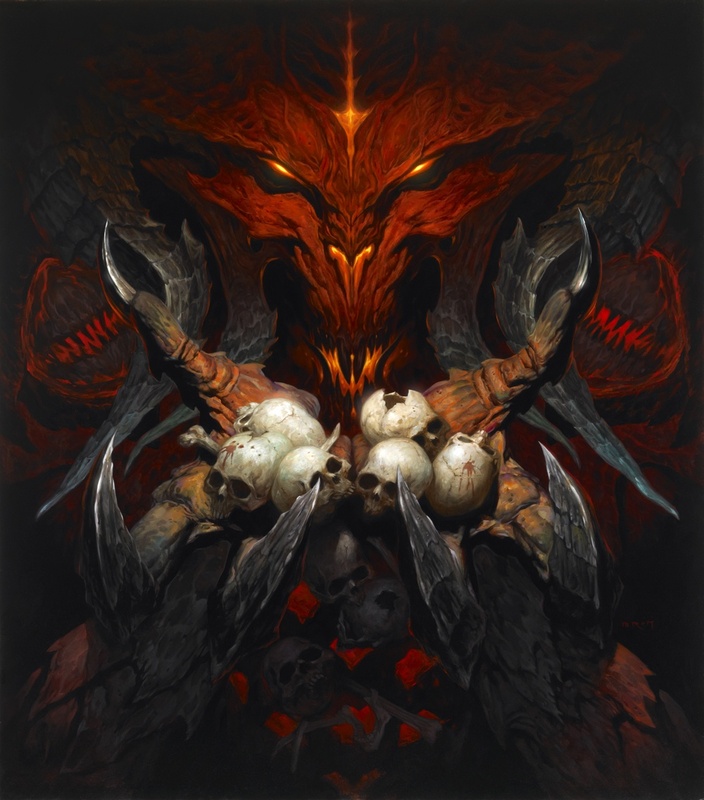 So how does all of this psycho-graphic mumbo jumbo relate to «Diablo III»? Few players fit neatly into just one of these arch-types, but most players have aspects of each, corresponding to what appeals to them in a game. One of the tricks to making good game content is to target all three arch-types. 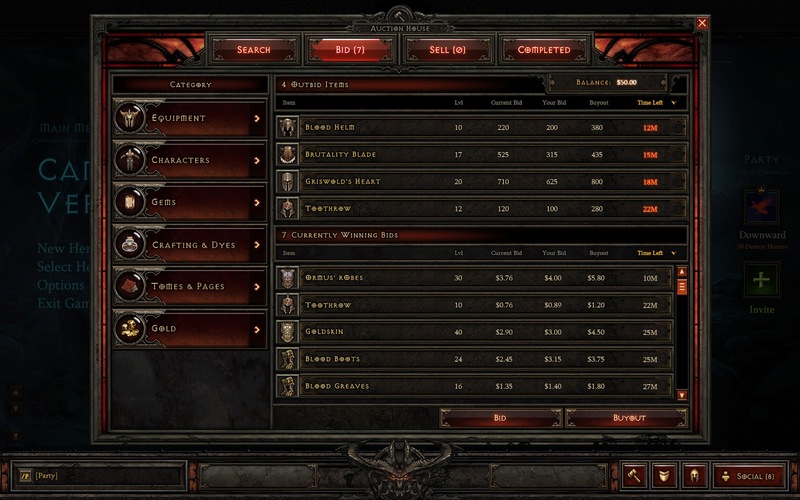 One of the primary changes in «Diablo III» compared to earlier iterations in the series, is that the relationship between attributes and combat performance has been greatly streamlined. All the classes in «Diablo III» deal damage based on just one attribute: Strength for Barbarian, Intelligence for Wizard and Witch-doctor and Dexterity for Monk and Demon Hunter. You can improve these attributes by leveling up and by equipping gear. This makes it real simple to pick the game up and start playing, as all you really have to think about is stacking as much of the relevant attribute as possible, and you will decimate what the game throws at you. This is an approach that in theory enables Timmy to have a lot of fun. The flip side of this simplicity, is that there is nothing to gain from having more than one of the above attributes on any piece of gear (a scenario which due to random gear generation occurs quite often). This annoys Spike to no end, as he would rather have something marginally useful in place of that attribute that does nothing. Fortunately there is a solution for Spike: The Auction House, where players can trade gear for either in-game gold or real money. In the auction house Spike can buy gear with exactly the attributes he is looking for, and finds that he can usually get better stuff there than he can find in the game. It is efficient, and Spike is happy. There is however little glory in dominating the auction house. When Timmy gets to the point where he needs better gear than he is finding in game (usually, this occurs shortly after finishing "Normal" difficulty), he will discover that the best and sometimes only way to feed his need is to resort to said auction house. At this point Timmy will sometimes turn into Spike, but more often than not it just turns him off the game entirely. With Johnny it's even worse. Once he figures out that there is only one efficient way to improve his game, he has no creative outlet. And this is the tragedy of «Diablo III»'s current game design: Johnny players are the ones that are likely to stick with a game for the long haul, as long as there are combos, tricks and builds that can be discovered or tweaked. If only «Diablo III» had more ways to win, "Johnny" would likely applaud the Auction House as a facilitator for getting just the right gear to implement his creative plans. Instead he becomes bored. So to sum up: Timmy leaves the game when it gets so hard that he has to resort to the auction house to stay competitive. Johnny is likely to lose interest even earlier, because of the limited possibilities for creating unique characters. What is left are Spike players, who will grind it through to the level cap and the end of the hardest difficulty setting. After that, they will have nothing more to conquer. However Spike players, being ruthlessly efficient, tend to grind through to this stage in record time. PPS: On March 18th, 2014, Blizzard closed the online auction houses. They have also introduced a system to deal with useless attributes on individual pieces of gear, and as a result, «Diablo III» is on its way to becoming a game in reasonably good health. 2 Spike players have already hit Paragon Level 100. Where's Sylvia(the attention-whoring female gamer), Michael(the rage-quiting entitled casual) and Gavin(the troll/griefer).